In the Giving Dashboard, the Donors tab will show you a list of any page visitor who successfully made a donation through your giving page(s). This list is broken down into Matched and Unmatched donors. Within the Donors tab you will see detailed information about each donor's gift - time of giving, amount, recurring, designation(s), comments or "in honor of," etc. Click on any row (i.e. 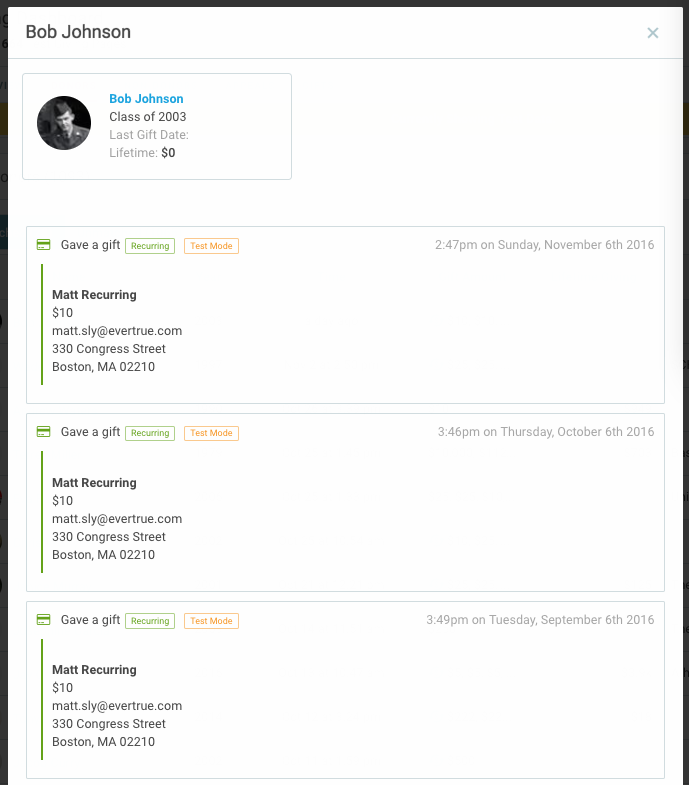 donation) in the list to see the donor's full online giving history via an EverTrue donation page.